Growing up in the tropical climate, Vietnam, I possess zero tolerance for cold! 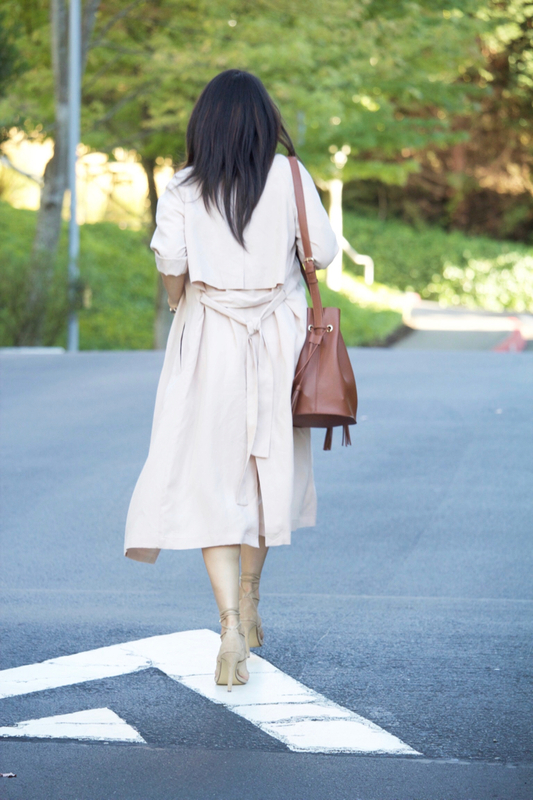 I’ve always prepared myself for some kind of layering piece when out and about, even in the middle of the summer, only to combat the cold indoor due to air conditioner at most places; malls, dental/doctor offices, grocery… Therefore, shopping for these key pieces is my all-year-round mission, not only in colder months, and this blush trench is among a few that I have found recently. This is an ideal add-on to my collection not only because of its silhouette, but also the neutral soft color, making styling so versatile. As always, thanks so much for your time.